The Presidential Inauguration of Donald J Trump will be held on Friday, January 20, 2017. 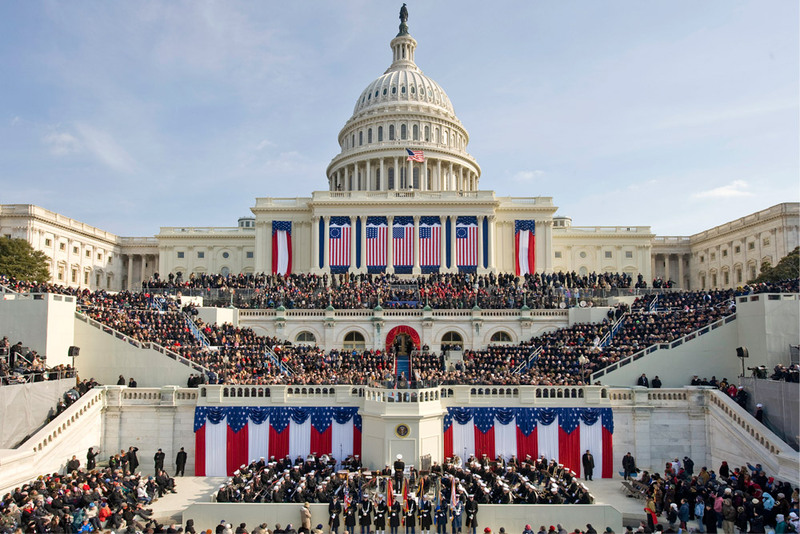 A fun filled week of historical festivities will include the Presidential Swearing-in Ceremony, Inaugural Address, Inaugural Parade and Inaugural Balls and Galas honoring the new President and Vice President of the United States. The public can participate in many of the inaugural events. Please note that complete details will be available in the next week. The following guide will give you an idea of what to expect for the week. More information will be provided and updated as soon as available. The President of the United States is sworn in and officially takes office on Inauguration Day. After a morning worship service, the oath of office is administered on the steps of the United States Capitol in Washington, DC. The Vice President takes the oath of office at the same ceremony as the President. Following the swearing-in ceremony, President Trump will give his inaugural address, setting out his vision for Making America Great Again #MAGA and goals for the nation. Members of Congress are given tickets for seats on the Capitol Grounds and distribute them at their own discretion. Tickets to the inauguration are free. However, because of the high demand of citizens wanting to see Trump take the Oath of Office and give his first inaugural address, it’s best to apply as soon as possible. People wishing to attend the 2017 inauguration can apply for free tickets through their local representative or senator’s office. Applicants can request any number of tickets. Many offices will issue tickets based on a lottery system due to the limited number of available tickets. To find out more information on state representatives and senators in areas across the United States. The public gathers to watch the ceremony on Jumbotrons (large screens) on the National Mall. No tickets are required to participate in the festivities on the Mall. This is a major event and attracts large crowds. Participants must arrive early and go through security screening. Previous articleWill Obama Pardon Clintons His Last Day in Office?